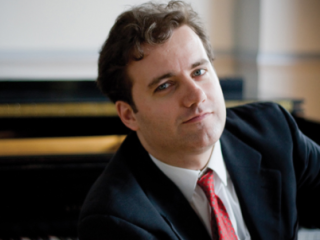 Josu de Solaun, newly appointed assistant professor of piano at the Sam Houston State University School of Music, won first prize in the George Enescu International Piano Competition. De Solaun will perform Tchaikovsky's Piano Concerto No. 1 in B-flat Minor, the composition with which he won the final round, in concert with the Sam Houston Symphony Orchestra, conducted by Jonathan Pasternack. The performance also features Finlandia by Sibelius and Mother Goose Suite by Ravel.